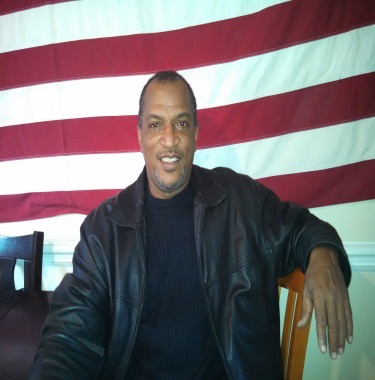 Ronnie F. was born and raised in Savannah, GA. After earning an Associate’s degree, Ronnie became disappointed when companies refused to hire him due to “No Experience”. Ronnie joined the U.S. Navy “to get experience”, serving for ten years, from 1980-1990. As a Hospital Corpsman – Aviation Medical Technician providing medical services to jet pilots and on aircraft carriers he traveled to 13 foreign countries. Ronnie always wanted to be stationed at Georgia’s Dobbins Air Force Base but was told he had to first be stationed at Jacksonville, FL and that is where he stayed for 20 years. Though disappointed with being based in Florida, Ronnie believes his time there helped to mold him spiritually and made him a better person. By Christmas 2013, possessing two associate’s degrees and several technical certificates and leasing two taxi cabs, things were going well. Due to a series of negative events it was time to go back home. Reminiscing that he was “in a dark space”, Ronnie saw this as a sign to go home to Georgia, and he moved to Atlanta. He feels that “my faith and God took me where I wanted to be”. Ronnie moved to Homes of Light Transitional Housing for three months then transitioned into permanent housing. He credits Case Manager Nikki K.
With connecting him to the Furniture Bank, which, in collaboration with United Way, funded training to get his CDL license. He recently went from contracts requiring him to be on the road three weeks per month to a contract driving four days per week with three-day weekends at home.